1. 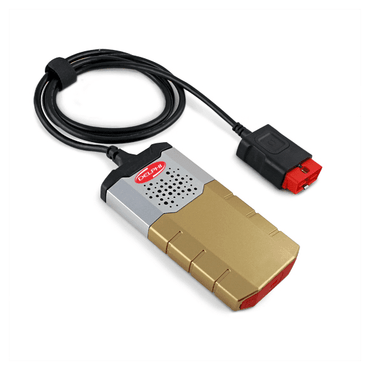 Fully compatible with VW, Audi, Seat and Skoda models through the current model year, including models using a direct CAN connection for diagnostics. 2. Can use the new 7-Digit PIN/SKC codes to match new keys in all immobilizer equipped VW/ Audi/ Seat/ Skoda models. 3. Can access all control modules which require proprietary VAG modes running the KWP-2000 protocols (2001+ Teves Mk.60 ABS, numerous 2002+ modules, KWP6000 (CAN) and/or KWP7000 (UDS). 4. Completely revised and expanded ROD (ODX) Data. Including coverage for all the latest models of cars such as the new 4G-chassis Audi A6. The structure of our ROD data has also been revised to eliminate much redundancy and keep the installer size reasonable. 5. Support for new UDS addresses required for compatibility with new systems found in latest car models. Auto-Scans now show sub-system label file names.